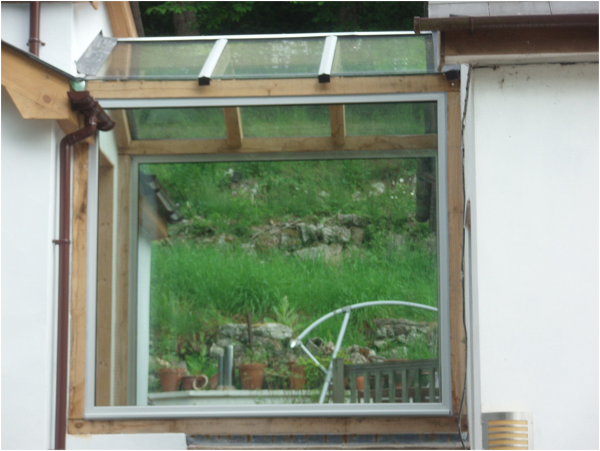 This installation was on a new development site where the client expressed in the design that they required a large expanse of glass from which they would be able to observe views of the Bristol Channel and the surrounding country side from inside the property. 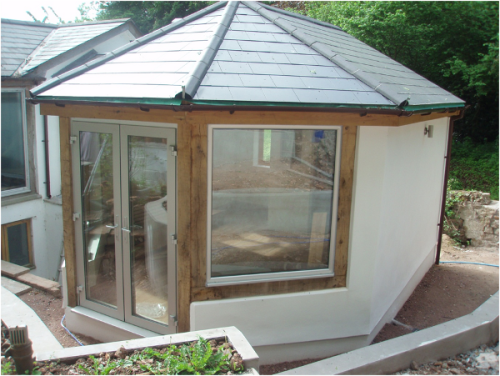 The installation consists of anodized coated, thermally broken, aluminium windows along with a french door systems and a bespoke wood green oak sub structure with a glass link to the existing building. This design was a fully bespoke installation that was manufactured completely to the clients request whilst also meeting regulatory standards and a completed installation that was aesthetically pleasing and low on maintenance. Glazing conforms to British and European highest Standards BS EN 6399 part 1 Section C3 for impact safety and wind loadings. 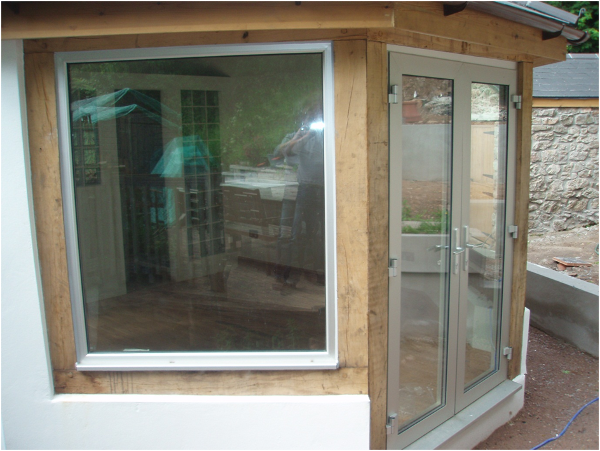 Aluminium frames fitted directly to the wooden sub structure with a contraband tape and silicone sealed to both sides of the frame. Timber wooden structure is a green oak, coated in clear preservative Danish oil.